"On April 13th Elon Musk, the boss of Tesla, an electric-car firm, said that the production problems which have dogged his company’s high-tech factory were partly the result of an over-reliance on robots and automation. “Humans are underrated,” he tweeted. " Having processed over 1.3 million P&C claims through its 360Siteview digital claims platform 360Globalnet has seen the limitations of AI. There is a temptation to fully automate claims for high volume, low value claims e.g. A&D on TVs, laptops, phones. The rationale is to speed up the claim and reduce processing costs. The unintended consequence is seriously expensive however. Over 30% of claims that would be passed by AI scrutiny are in fact either fraudulent or at least over-exaggerated. The proof? Using a self-service claims platform, claimants are sent secure peer-to-peer SMS and email links to phone/tablet/laptops and fill in a short explanation as to the loss (customised templates for the explicit peril). They get a thank-you-message and then another link to take photos of the damage, product/serial number; typically three to six photos. The claims handler can in seconds, checking the facts against the free-form description of the event to validate the claim. Meta-data in the images proves (or disproves) the claim yielding location, time and often unintended info in the background. More often than you would think the photo of damaged TV was taken at a different location, or way before the stated date? Another link is securely sent requesting video evidence to give context to the photos. That's especially valuable in vases of "red wine spilt on valuable Chinese Carpet claims", convoluted tales of how the claimant tripped over the child's toy, the hammer went flying and hit the TV - except the video shows that improbable. Typically 35% of A&D claimants withdraw claims as they realise the holes in their story are not credible. At around £580- £800 a claim ($830 to $1,145) that is a huge amount! AI just automates the process and pays out time after time. Why? Because it lacks the data it needs for machine-learning and the stories are credible if untrue. Fraudsters are expert at changing the modus operandi to stay ahead of the insurer. What human cognition accomplishes in seconds (when it has the visual, textual data allied with experience and intuition) AI just misses. In this case the insurer also takes advantage of the cognition and intuition of the claimant. "I've been rumbled! Better withdraw whilst I can". AI does have a place but it is limited and for more widespread use requires massive amounts of data and more common sense allied with intuition. 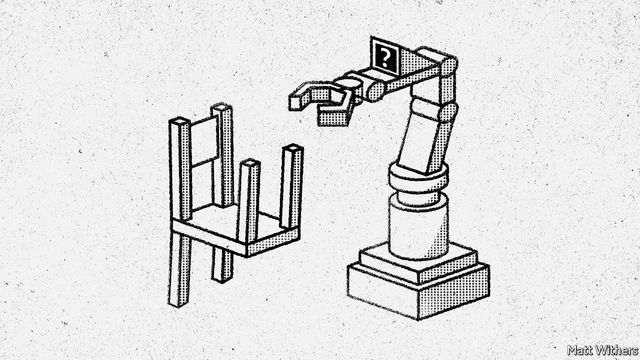 AI researchers call that observation Moravec’s paradox, and have known about it for decades. And it will take another decade for AI to catch-up in the situations described. But don't worry- you can retrieve salvation from a mix of augmented intelligence with 360Siteview and 360Retrieve. Add to that, for the bona fide claimant and claim the data captured in text, photo, video and even live streaming for more complex claims like "escape of water and subsidence" is available as a single digital record and the relevant parts shared with supply chain partners and suppliers to repair, replace fast and efficiently. A combination of digital claims platform and communications/collaboration and orchestration hub all-in-one. The research also holds a serious message. It highlights a deep truth about the limitations of automation. Machines excel at the sorts of abstract, cognitive tasks that, to people, signify intelligence—complex board games, say, or differential calculus. But they struggle with physical jobs, such as navigating a cluttered room, which are so simple that they hardly seem to count as intelligence at all.